provide excellent customer service every step of the way. ​details that make each trip more memorable. Life is about laughter, family, friends and adventure. Join Our Team: Now hiring Seasonal Tour Directors! Please contact ﻿﻿Lena﻿﻿ for additional details! 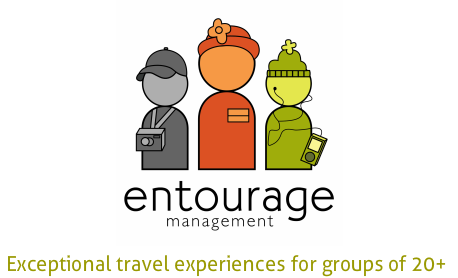 Lena Mulcahy is the founder of Entourage Management and brings with her a passion for travel that has been with her since childhood. Being an "Army Brat," travel has been a part of her life pretty much since birth. She has worked in the travel industry since 1988 and has catered to corporate, leisure, and group clientel. Lena not only plans unique group itineraries filled with special touches, but she will fearlessly lead groups of all sizes on adventures as well. Natalie graduated from Western Kentucky University in 2015 with a degree focused in communication, event planning and sales. She caught a case of the travel bug long before college and has since lived by the quote “I haven’t been everywhere, but it’s on my list.” Natalie loves traveling with our groups, especially to Walt Disney World & NYC. Her enthusiasm and big smile are sure to be contagious! Donna brings us a fresh perspective and a bright, happy smile! Donna served as the director of a NH non-profit residential program for children for 23 years. Following her move to FL in 2015, Donna was eager to dive into some new adventures and opportunities - especially with travel and tourism. Her skill set is varied and no task is impossible for her. She wears many hats and is thrilled to be working with our groups. Pete Pappas brings a world of musical experience to the Entourage Team. Pete has served as a guest lecturer, adjudicator, and conductor at universities across the country and works with traveling students groups. His experience and in depth knowledge of the needs of a traveling band help us assist our clients in the most effective fashion. He assists us with clinic arrangements, musical venues and more!